Open to everyone with prior WCS knowledge • $40 in advance, $48 same day. Upgrade all of your WCS skills and patterns to the next level! Working with 2 tricky patterns, we'll upgrade our technique skills to make those 2 moves — plus all your WCS — sweet and easy. (Well, much sweeter and easier, anyway!) Plus we'll touch on Styling and Musicality if time allows. You'll be amazed at how much your dancing will improve in just two chock-full hours! We (Ken and Paula) tend to focus on the social aspect of WCS when we're dancing, and when we receive a complement, it's usually for our playful connection and ease on the dance floor. This workshop is about the simple skills, technique upgrades, and “tricks” that make that possible — for both Leaders and Followers. West Coast Swing is first and foremost, a social dance. However, the fun, playful conversation that makes WCS so great, can sometimes get lost when we try to get patterns or steps "right". In this 2-hour workshop we will explore fun, functional ways to make every pattern with every partner more connected, playful, and satisfying! This workshop is about the simple skills, technique upgrades, and “tricks” that make that possible — for both Followers and Leaders. 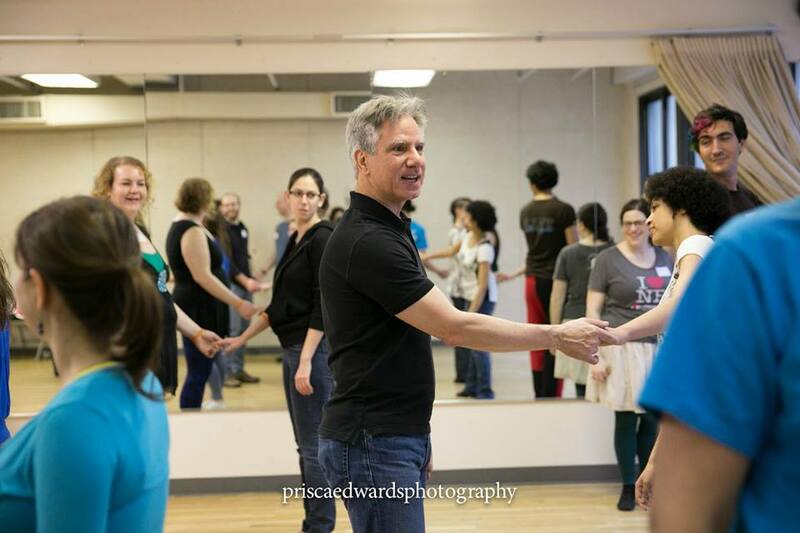 We (Ken and Paula) tend to focus on the social aspect of WCS when we're dancing, and when we receive a complement, it's usually for our playful connection and ease on the dance floor. It's rare to find a workshop that focuses on that, so here we go! Pre-requisite: 9+ months of regular WCS classes or 2 to 3 months of Ken & Paula's classes. Or personal invitation from Paula or Ken. Space is limited to ensure personal attention. Early enrollment recommended. WCS LEVEL 101-201 SPECIAL SERIES CLASS: "INTENSIVELY AMAZING! FOR ABSOLUTE BEGINNER THROUGH INTERMEDIATE(+) DANCERS." ​Special 6-week series • 9 hrs total, $180. * For Absolute Beginner through Intermediate(+). Also recommended for people who have other partner-dance experience and want to learn WCS really fast, without having to plow through a standard Beginner class. *All Level 101 alumni may repeat for 1/2 price. *All of our 5-week and 6-week Level 101 & 201 alumni may take this class for 1/2 price! (9 hours of class, with individual attention, for just $90.) It's the best way to review, practice, and master everything. We always do new and different things new each time around, so it's more than just a simple repeat!